OUR STAFF IS "isa" certified. The great thing about dealing with a professional company like Tree Service Fort Worth is that you know that the staff they bring out to your residence or business will be ISA certified. What this means is that they're certified to work on your trees or shrubs. They are trained properly in the area of Arbor Care. You can rest assured that all of our supervisors on site have to be certified by the ISA before we let them perform work out in the field or work with our crews. This is a huge advantage over our competition and normally is where we leave them behind. In most tree service companies, only the owner is certified and the management and supervision doing the work are not. Most of these owners will show up to give you a bid but they personally will not be the ones performing the actual work on your property. This leaves you at risk of permanent damage being done to your trees. Call Tree Service Fort Worth, our standards are all of our staff has to be ISA certified before performing any work for our company. Next time you decide to have work done to your tree give us a call. 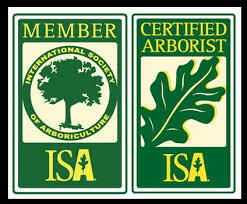 TREE SERVICE FORT WORTH IS "ISA" CERTIFIED.